Author Christopher Beanland will kick off the evening at the RIBA Bookshop by revealing what lies behind the unapologetic grey concrete facades of the Brutalist movement. He’ll take us through a global journey into the fascinating stories of some of the most iconic, and some of the lesser known “Brutalist Beasts” around the world. Why were they built? What do they mean? How are they seen today? These are some of the things we’ll get to find out about this beautifully illustrated catalog of Brutalist architecture around the globe. This evening will pay homage to the architectural movement that is loved today as much as it has been hated in the past. The talk will be followed by an audience Q&A session. The book Concrete Concept: Brutalist Buildings Around the World is published by Frances Lincoln and it can be purchase either in the bookshop or through our website. Last week Architect Eva Jiřičná and writer Deyan Sudjic were our guest speakers in the latest Riba Bookshop Tuesday late evening talk. 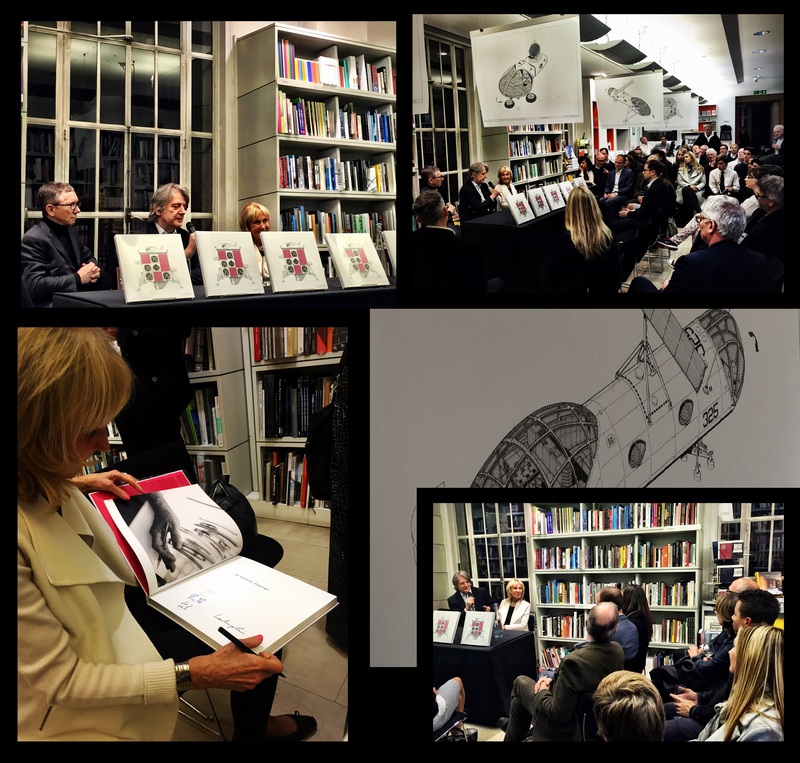 The evening served to commemorate the recent publication of Jan Kaplický Drawings and its accompanying exhibition, a collection of prints of the architect’s drawings featured in the book that have been on show inside the bookshop since the beginning of September. This latest talk was an intimate and insightful conversation filled with tales and anecdotes about the life and work of the influential architect, who came to be so well known for his futuristic visions and daring designs. The publication of the book and the exhibition act as a timely contrast with the current developments in computer drawing and its widespread use across the world of architectural design. One of the most unexpected discoveries amongst those who have visited our exhibition, and were not familiar with Jan Kaplický’s work, was finding out that these highly technical, space age drawings had all been in fact drawn by hand and not by a computer, as it is customary for this kind of drawing today. It is a beautiful contradiction that an architect who designed such technologically advanced buildings, should give so much importance to the act of drawing and mark making. Or perhaps he always understood that the ability to do so is one of the things that separate humans from computers. Years later, when the new Apple gadget tool “Pencil” is presented to the world as the latest technological must have toy, Circa Press pays tribute to Jan Kaplický’s mastery of the pen on paper and, once again, opens up the unfinished debate about computers vs the human hand. To continue on the book’s theme, next week we’ll publish a list of the top five drawing books compiled by the booksellers at the RIBA Bookshop. Whether you are amongst those who carry pen and paper everywhere you go, or have been meaning to dust off that neglected sketchbook for some time, tune in for some interesting recommendations. 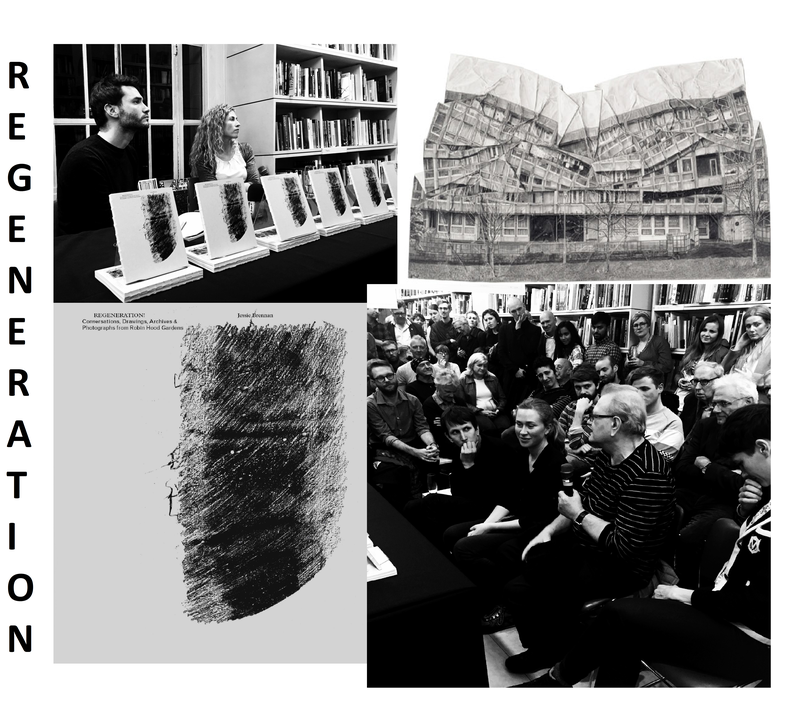 On Tuesday, artist Jessie Brennan came to the RIBA Bookshop to present her book Regeneration! Conversations, Drawings, Archives & Photographs from Robin Hood Gardens. The book was very well received by an engaging crowd that took part in a conversation between Jessie and writer Richard Martin. Amongst our guests we had architects, artists, activists and former residents of the Robin Hood Gardens housing estate who discussed their experiences and ideas about the significance behind the life, evolution and demise of this iconic symbol of social housing in Britain. This is an important book that closes the last chapter in the history of this London brutalist symbol at the forefront of a heated debate since it was first threatened with demolition. But it is also the beginning of the next chapter in the history of London, a city in the midst of rapid transformation through the process of urban regeneration, which no one yet really knows how to envisage. How will communities transform? How will areas change? Who’s moving out? Who will move in? and what will London life feel like at the end of this process? As London continues to regenerate, more people are joining the debate about the future of our city and the people who live in it. This book seeks to record the unheard voices of some of those at the centre of this change, the residents of Robin Hood Gardens. The book includes archival photographs and drawings of the estate, as well as conversation pieces with some of the residents of Robin Hood Gardens, essays by Owen Hatherley and Richard Martin, and a set of pull out prints of the artist’s work A Fall of Ordinariness and Light. The drawings are exquisite representations of the estate made with graphite on paper and were commissioned by the Foundling Museum. You can take a look at them by following this link. If you would like to buy prints of the work, you can enquire with one of our booksellers. To buy a copy of the book please come into the shop at 66 Portland Place or visit our website. Thank you Jessie, Richard and everyone that came to the book launch for helping us make the Bookshop a place that inspires and generates ideas and interesting dialogues. This week’s five remaining titles on our architecture in fiction list moves away from last week’s Sci-fi dominated theme and lands back on earth, where we can spend some time people watching from invisible windows, through modernist glass panels and why not also from secret hiding places. In today’s list, we present you architecture with the power to shape-shift historical events, wars, jigsaw puzzles, paintings, ethical dilemmas and what makes us essentially human. As usual, if you want to read any of these novels during the long bank holiday weekend, you can pop into our shop today and tomorrow Saturday until 5pm to pick up a copy. Otherwise you can also order them online. 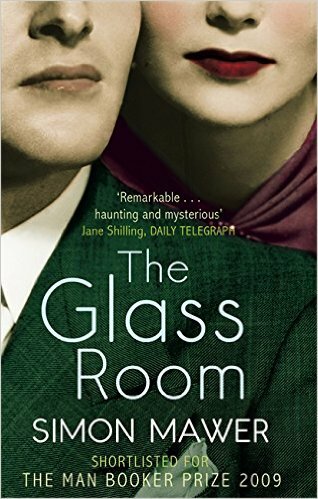 Number six on our list is Simon Mawer’s The Glass Room. When Victor and Liesel Landauer meet architect Rainer von Abt during their honeymoon in Venice, the Landauers, enthused by von Abt’s radically modern architecture ideas, commission their new friend to build a house for them, a 1930’s modernist glass and steel house on a hillside outside a Czech town. The Landauer house soon becomes the central character of the novel and draws direct inspiration from the famous Tugendhat villa built by Mies van der Rohe in 1930 in Brno. The story of the glass room mirrors very closely the history of the Villa Tugendhat, which after only 8 years of serving as a home for the Tugendhat family, was confiscated by the Gestapo, who turned it into an office. The Villa’s ownership changed hands again at the end of WWII when it was turned into quarters and stables for the soviet military. As the story of war in Europe unfolds, the glass room metamorphoses into different kinds of buildings, reflecting some of the most significant historical events that took place between the 1930s and the 1980s. Life: A User’s Manual was first published 1978 and soon became Georges Perec’s best known literary work, giving him international acclaim. With the help of a jigsaw puzzle and a well known chess problem known as the knight’s tour, a sequence where the knight is required to visit every square of the chess board only once, Perec used a 10 storey apartment building at the fictional Parisian address, 11 Rue Simon-Crubellier, as the setting to weave together 99 seemingly disconnected life stories. 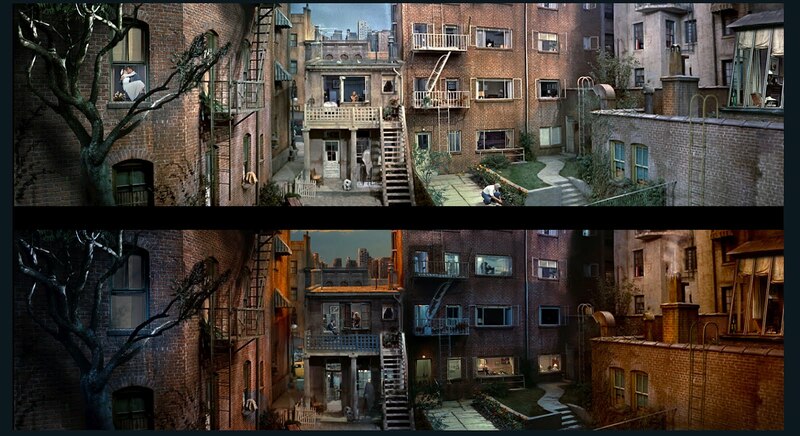 In similar fashion to the way Hitchcock showed us the apartment building as a container for the urban living microcosm in his 1954 mystery thriller “Rear Window”, Perec moves closer into the lives of the apartment dwellers, shaping characters through detailed descriptions of room interiors and the scenes that unfold inside them, painting a picture of everyone’s and no one’s life with his words. Charles Belfoure is an American architect, writer and historian who takes us into the city of Paris during World War II with his latest novel. In The Paris Architect we meet Lucien Bernard, an amoral individual trying to live through the German occupation unnoticed by turning a blind eye to the atrocities committed by the German soldiers against the Jews. When the architect finds himself short of money, he faces the dilemma of whether to accept a generously paid, but also the most challenging and dangerous design job of his career. A wealthy Jewish man wants to commission Bernard to retrofit buildings with hiding places, where persecuted families won’t be found by Nazi soldiers. Full of fascinating architectural problems and their solutions, The Paris Book is a gripping story about ingenuity, skill, clever detailing and the question of ethical values in the face of danger. 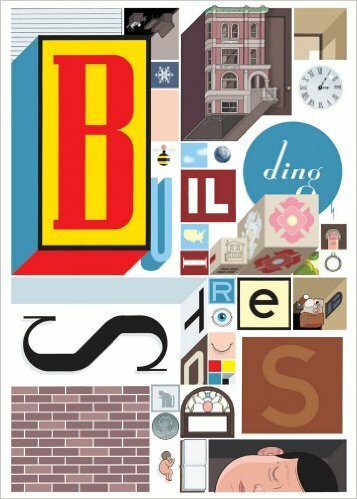 In Building Stories by Chris Ware we follow the lives of the inhabitants of a three flat apartment building in Chicago. More than a book this is a graphic novel presented in the form of eleven pamphlets inside a beautifully designed box, where the reader is invited to build his own narrative by changing the order of the pamphlets. Like Perec’s Life: a User’s Manual this is a puzzle and a painting where the stories are told through detailed illustrations of apartment interiors, as well as plans, sections and elevations inhabited by an array of characters and the objects they own. If you pay close attention to the street view vignettes, you might be able to spot one or two apartment buildings designed by Frank Lloyd Wright. 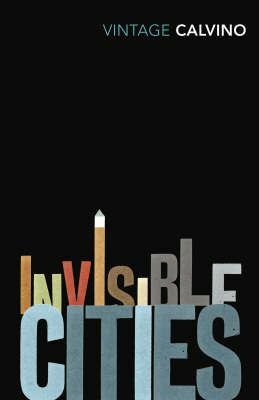 Number ten and last on our list is Italo Calvino’s modern classic Invisible Cities. In this work of experimental fiction Calvino sets out to describe the city of Venice many times over in every short chapter of the book. More than a story, this is collection of impressionistic sketches of the same city in the guise of several imaginary places visited by Marco Polo, the narrator of the book. The descriptions are made of poetry, ideas, meditations, feelings, perceptions and all the things that stir inside when we contemplate something that moves us. If you haven’t read this yet, this is a beautiful book.